Washington : A study reveals that administering a single dose of ketamine a drug commonly used as general anesthetic or a rapid-acting antidepressant one week before a stressful event, can buffer against a heightened fear response and may also prevent post traumatic stress disorder (PTSD) symptoms. Researchers from Columbia University Medical Center (CUMC) in the U.S., conducted the study on mice and suggested that prophylactic administration of ketamine may help soldiers and others who subsequently experience psychological trauma. The study appeared online in the journal Neuropsychopharmacology. “Ketamine is a powerful drug and we wouldn’t advocate widespread use for preventing or reducing PTSD symptoms. But if our results in mice translate to humans, giving a single dose of ketamine in a vaccine-like fashion could have great benefit for people who are highly likely to experience significant stressors, such as members of the military or aid workers going into conflict zones,” said study author Christine A. Denny. 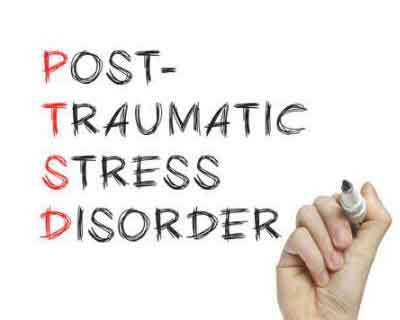 PTSD symptoms include re-living a trauma experiencing repeated flashbacks, hyperarousal and hyperreactivity as well as mood changes, psychological numbing and chronic physical symptoms such as headache. For the research, the mice were given a small dose of intravenous ketamine or a placebo either one month, one week, or one hour before they were subjected to a series of small shocks. Only the mice given ketamine one week before the stressor, exhibited reduced freezing when they were returned to the test environment. “Our findings indicate that the timing of ketamine administration is critical for buffering fear expression,” said first author Josephine C. McGowan. They also found that giving ketamine immediately after the stressor did not affect the animals’ fear response. However, giving ketamine one hour after a second shock, decreased the expression of fear, suggesting that there may be another potential window after the initial trauma when the drug may be effective.